Not only do soundbars lend a sleek touch to your living room, they also revolutionise your TV watching experience. With sound bars, you won't have to turn up the volume to feel the presence of the game the next time you watch a Super-bowl match. You'll be able to hear all those little sound nuances from your favourite movie or music concert. The kids will totally enjoy the sound effects of sound bars on their favourite cartoon or animated movie. Choosing the right sound bars can be quite challenging since they come in a variety of designs, sizes and prices. Before we go into the different options on the market, let's look at the type of value that sound bars can add to your home entertainment system. This is an all encompassing hybrid system that's sure to deliver that coveted surround sound experience. It comes with a sound bar, speakers, subwoofer and Boost. The sound bar is an ideal companion for HD enabled Tvs, while the speakers offer fantastic sound with no obstruction. The subwoofer is wireless, which means you can place it in any spot and it'll still deliver an immersive sound experience. Its Play 5 Speakers even boasts 6 synchronized drivers to help bring on that deep, encompassing sound experience. The Boost makes is easy for you to connect and stream wirelessly, thanks to its unequalled wireless performance. If your wi-fi connection tends to be weak or unstable where your TV is, this is the system to go with. This uniquely designed sound bar system offers a surround sound experience that fills the room, giving you an authentic movie and entertainment experience. It even comes with chic looking detachable wireless speakers and subwoofer that's perfect for modern design aesthetic and will blend in well with your home decor. Easily place the subwoofer wherever you want; it’s wireless to give you convenience and freedom in your placement. The system is fairly easy to install and run, and even comes with a handy remote control for mobile operation. You can place the speakers all around the living room to enjoy a rich and all-encompassing sound from all directions. The speakers are also Bluetooth and WiFi enabled, which gives you more sources to play music from. Featuring Dolby Digital and Pro Logic II surround sound, this soundbar set up will deliver if you’re seeking a deep bass and more impressive surround sound. This is a two bit system that packs a punch. Within the sound bar are 22 array speakers and two subwoofers, featuring HDMI capabilities that easily transmit 4K, 3D and CEC sound with clarity. The extra subwoofer provides powerful bass with extraordinary clarity, no matter how high the volume. Its 7.1-channel surround feature and 4 HDMI inputs that allow for easier setup are bonuses that make this soundbar set even more attractive. The system comes with 10 different sound perception options based on your preferences, including three for movies, four for entertainment and another three for music. The UniVolume feature prevents the volume from spiking up when the commercials or other high pitched aspects come on. You can also easily place this system below or in front of your TV without obstructing the view or the signal. You'll feel like a part of the action with this multi-channel 43 inch long sound bar that comes with impressive Digital Signal Processing, along with Dolby Digital and DTS. 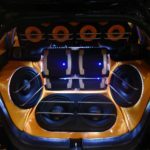 The Hybrid Pressure Acceleration System contains 4 bass acoustic for an impressively deep bass that rivals subwoofers and amps. Featuring the Legendary Atlantic Technology home theatre performance, this refined digital system will give you the authentic home theatre experience. If you have a bigger space and want a realistic surround sound experience, you can easily connect this to external speakers using the 3.5 millimetre audio jack, which comes with the package. The sound bar is also Bluetooth and NFC enabled, with the flexibility to easily connect from a 30 feet distance. If you need a soundbar system to enhance TV dialogue, this one has an added feature that advances dialogue over background noise so it’s clearer and more intelligible. Its User Switchable Display is also unique in the sense that you can easily flip it to display correctly regardless of which way the unit is placed. 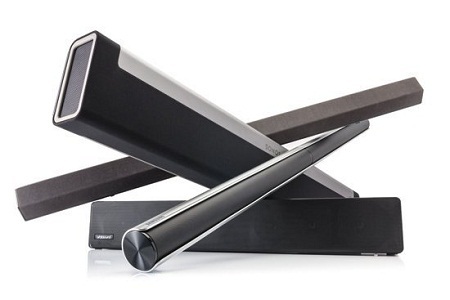 The Bose SoundTouch bar proves that dynamite comes in small packages. Although the slim design makes it look small, it contains sensational bass and advanced sound technology to deliver a distortion free and enveloping sound. Its 4K technology and HDMI connectivity helps boost your TV shows, music and movies while its chic, trendy design of glass and metal make it a stunning showpiece. The slick and sophisticated design makes it a beautiful addition to any well decorated space. The sound bar also comes with NFC and WiFi as well as a SoundTouch app which speeds up the streaming process, allowing you to easily access music from your favourite streaming platforms such as Spotify, Pandora and Tidal. The ADAPTiQ feature actually adjusts the sound to suit the acoustics of your space, regardless of its specifications. Its QuietPort feature helps to keep distortion to a bare minimum so you get to enjoy true, rich bass. The Bose PhaseGuide feature makes your sound experience so authentic and fuss free that you won’t even notice you’re using external speakers. The space saving sleek design comes with a metal grille and a soft to the touch glass top. Perfectly complements minimalist and modern décor. The Sonos Play bar is one of the best in the market, with awesome technology features like speech enhancement, Truespeaker tuning for flexble placement, and Night Sound, which automatically levels the volume when intense sounds come on. With its 9 amplified drivers, you’ll get to enjoy a rich media experience while the Sonos Speech Enhancement means you get unparalleled clarity with dialogue. This sound bar also contains WiFi for wireless music streaming, and the clarity and quality of the sound will simply blow you away. It gets better with time as Sonos continuously updates the software to integrate new features and services over time. Pus, you can pair this with the famous Sonos subwoofer for an even more dramatic bass; or the wireless Sonos Play: 1, 2 and 3 to experience genuine surround sound in your living room. This Samsung Premium sound bar has an impressive and realistic bass, thanks to technology that eliminates sound distortion by expertly tuning output to cancel sound dross before it even occurs. With WiFi and Bluetooth connectivity, you can stream music from your mobile device and from any online streaming platform, while HD Audio allows you to experience the sound as it is. The Samsung Wide Range Tweeter ensures that regardless of the room you’re in, the sound bar delivers the perfect enriching blend of sound that’s the most suitable. The design is elegant, simple but no simplified, and perfect for clutter free décor. The sound is dynamic with rich bass undertones that deliver a completely cinematic experience throughout the room, thanks to the Wide Range Tweeter. Plus you can easily enjoy your 4K and Blu-ray content with this sound bar, courtesy of HDMI compatibility. The design is a minimalistic, simple black which some people prefer but others say that it can be improved. This is a 2-way sound bar that comes with a wireless 10” subwoofer that delivers extra powerful bass. Its 90 x 90 Ttractrix horn allows it to channel high pitched sounds without a hitch, while delivering a balanced and realistic sound with 3”mid-range drivers. Streaming music is a breeze with aptX audio coding engineering. Another unique feature of this sound bar is that its compatible with both new technology and older TV models, so that you can experience easy connection to your TV, regardless of its specifications. Beautiful design in sleek black with copper detailing makes this a posh addition to your home theatre system. How Does A Sound Bar Enrich Your Experience? If you're into the surround-sound effect but don't like the cluttered appearance of multiple speakers in your living space or entertainment area, then opting for a multi-channel sound bar could be an ideal solution. These particular sound bars come with up to seven audio channels, with the upshot of an unparalleled three dimensional surround sound effect. Some more advanced models even bounce sound off the walls to create the feeling of having multiple speakers, and you can even have them tailor made for your space, to create an even more immersive sound experience. A key feature to look out for in a sound bar is dialogue enhancement. This is what enables more vocal clarity, enhances the volume and refinement in each voice. And this feature is what ultimately turns your TV into a cinematic experience. You know that thing that happens when you're watching late night TV and then suddenly the volume shoots up to 100 the moment a commercial comes on? Well, the good news is that with volume levelling technology, sound bars are able to balance the sound whenever there's a shift in volume, so that the sound remains at an even keel no matter what type of programming comes on. Dolby Atmos bounces sound off your ceiling creating an audio 3D sensation of all encompassing sound. With this feature, you literally feel like you're a part of the action. Some sound bars come with a USB input that enables you to play music through a thumb drive which you can even leave inside the sound bar so you can easily access your favourite tracks whenever you want. You're also likely to find Bluetooth-enabled music bars that allow you to wirelessly connect to and play content from, a smart phone, tablet or laptop. Another common feature among sound bars is Wi-Fi capability, which connects your sound bar to the internet, where you can easily stream music from an online streaming service like Spotify. Or, you can stream music wirelessly throughout your home by getting a sound bar that can connect with a network of other audio playing appliances like speaker and receivers. If you want to read about more factors when buying a sound bar, read this. When shopping for a sound bar, it's important to ensure that you get one with a front panel that's easy to view, with clearly labelled controls so that you understand each one's function. As an alternative, some sound bars enable you to manage the functions through the TV. Because sound bars easily connect to your TV, it makes sense that some models come with Blu-ray and DVD functions, enabling you to directly play your favourite movies without needing to connect another device. As mentioned, some sound bars come with WiFi connectivity built in, so that you can directly stream music, movies and TV shows online, through streaming services like Hulu, Amazon, Netflix and Vudu. Internet connectivity means that you can even connect to social sites like Facebook and internet radio stations through your sound bars, which completely transforms your whole experience of these mediums. Some sound bars have rear speakers that really amplify that surround sound feeling. You can even connect these speakers to an amplifier or a subwoofer for a more enveloping sound. 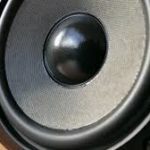 A great tip would be to connect to a subwoofer with its own amplifier, to get achieve a more refined sound in terms of the bass. 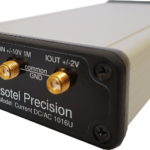 Some models come with a Digital Signal Processor which deciphers and matches a particular chosen listening environment. Then there are bass and treble adjustments as well as custom equalizers, which come as features in some sound bars. Another cool feature is a bass-boot controller that lets you to augment the intensity of the deeper sound nuances in your audio. Various audio and video sources require connection inputs that match with their output, so it's important that you get a sound bar with the relevant inputs to fit your different media players such as mobile devices, TVs and online streaming. Digital-audio Inputs: Typically, you'll find that sound bars contain one or more audio input, as well as inputs for analog stereo RCA and mini-jacks that come in handy when you want to connect TVs, Ipods, cable boxes and the like. However, it has become more common for sound bars to connect digital-audio inputs through an HDMI cable, as well as through optical digital-audio inputs. HDMI: HDMI can enable sound transmission to occur from your TV back to your sound bar through a feature known as audio return channel (ARC). It's also common to find sound bars with more than one HDMI input which usually comes with an output for your TV. And it helps to ensure that your sound bar has the capability to transmit Blu-ray Ultra HD or 3D and 4K quality audio to your TV. WiFi: With WiFi enabled sound bars, you can stream music directly from your favourite streaming service such as Spotify or Tidal while enjoying the great sound quality that comes from a sound bar. And if you're using a wired internet source, some models do come with an Ethernet jack for you to connect your router. Streaming: If you don't own one of those media enabled Smart TVs that come with streaming services, then a streaming enabled sound bar can allow you to gain access to streaming services like Amazon, Netflix and Hulu; social media networks like Facebook and YouTube; and even online radio stations like Slacker, Pandora and Napster. Bluetooth-enabled: With Bluetooth-enabled models you're able to send and receive music from mobile devices like smart phones, laptops and tables, playing it wirelessly through your sound bar's speaker. Near Field Communication (NFC), which is a common feature among some models, makes for quicker Bluetooth connectivity, as well as two-way Bluetooth through which you can send music from your sound bar to speakers and headphones that support Bluetooth connectivity. This is a common placement option as its both convenient and aesthetically appealing. They're also more accessible, although maybe too accessible in a home with little hands and fingers. Regardless, this position works best with platform style sound bars that have great compatibility and synchronicity with the base of your TV. 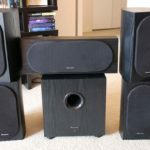 Due to their size, these models squeeze really well into a small TV stand, and you should opt for these if you want to experience a wide range of sounds without the use of a subwoofer. This is another common placement option for sound bars because it’s convenient. But it's advisable to ensure that it doesn't protrude from the stand due to size issues and you can avoid this by first measuring the sound bar to ensure that it's compatible with your TV stand and base. You'll so have to ensure that it doesn't block the signal from the TV to the remote, although you could always purchase a sound bar with IR repeater to avoid interruptions when the TV's remote control sensor is blocked. This gives it a whole floating aesthetic feel, and is an ideal decoration tactic for contemporary spaces, especially if your TV's already mounted on the wall. Of course this comes with considerations such as ensuring that the connection cable and power cord is out of site to keep the setup looking clean and elegant. 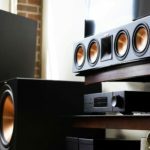 FAQ: Can I get Surround Sound from A Sound Bar? Quite simply put, not quite. It just depends on what you mean by “surround sound”. Some want an immersive sound experience that can literally blow the roof. While others just want an uninterrupted experience of rich and powerful sound without sounding loud enough to break the china. All these options and much more are available on the market to suit different needs. 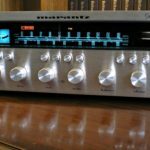 Other models even come with an AV receiver that you can use to connect with actual surround speakers as part of a blended sound system. However, if you want your sound bar to perform at that surround sound level where you can actually perceive the slightest audio nuance, then your best bet would be to invest in a blended sound system like the one described above, or rather get an actual surround-sound system and be done with it. Additionally, if you're not averse to digging deep into your pockets, then you could always get those sound bar models that are designed to reproduce the surround-sound effect , sometimes with even better results than most surround sound systems. In a nutshell, you can easily find a sound bar with all the sound requirements that suit your preference, but you'll have to shell out for it. Furthermore, we feel it's fair to mention that you probably won't find a sound bar that can completely imitate the goose-bump inspiring experience of a good quality surround-sound system. These sound bars come with all the amp power already built in, all you have to do is set it up to your stand and play. On the other hand, passive sound bars require extra amplification and have inputs available for single speaker surround sound connectivity as well as a three speaker configuration setup. And you can also connect them to a home theatre receiver to get the same effect. What Size Sound Bar Do I need? The answer to this question is determined by a number of factors, and there are as many sound bar options as there are people who're looking for them. The larger sound bars contain more receiver, which gives you more sound options and bigger sound as well, whereas some aren't different from the smaller models at all. Vizio and Zvox are currently the market leaders when it comes to offering the most variety when it comes to sound bar length and size. Sound bars are definitely a valuable and must-have addition to any home theatre or sound system. They allow you to experience a refined listening experience with all the cadences, as well as enveloping surround sound features that turn your space into an immersive entertainment hub. And they come in a variety of designs to fit into any type of decorated space, while still being able to deliver room-filing sound that can quite literally give you the goosebumps. With all this useful info, you will be well on the right track to purchase your next (or first) sound bar with confidence.